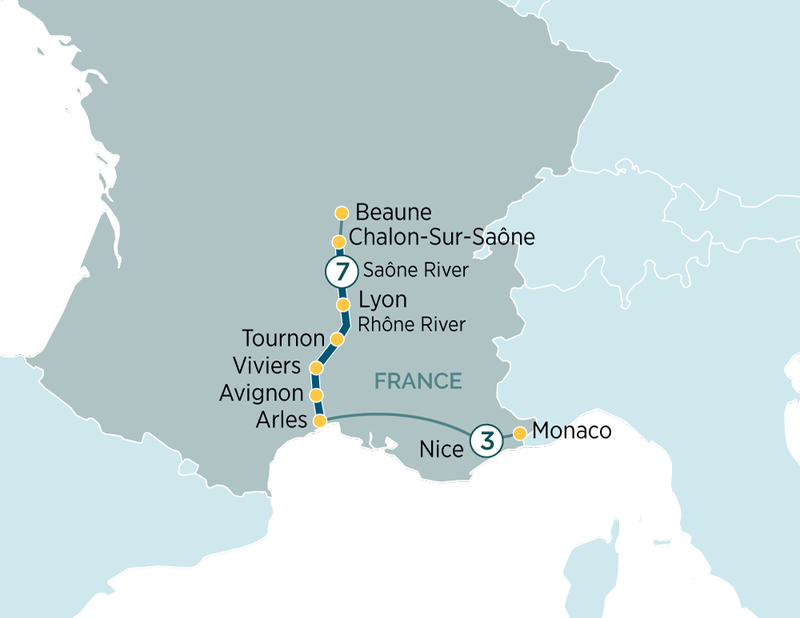 After breakfast disembark your river cruise ship in Arles and transfer to Nice and check into your hotel. Included is a three-night stay in Nice. Nice, the capital of the Côte d’Azur, is beautifully curved round the Bay of Angels, desirable and as lively as you like. In the morning enjoy free time to explore on own, and in the afternoon we will take you to Monte Carlo for a guided tour, where you will learn about the jet set life in Monaco. Today enjoy your day at leisure in Nice; your tour director is at your service to help you plan your day in this vibrant city.